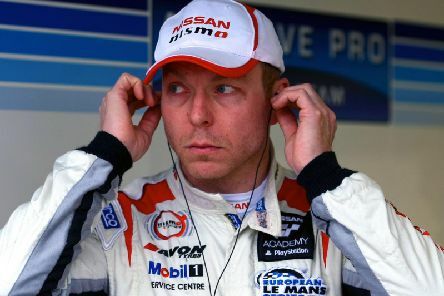 Edinburgh-born Olympic cycling champion Sir Chris Hoy had a miracle escape after crashing a racing car at more than 100mph. 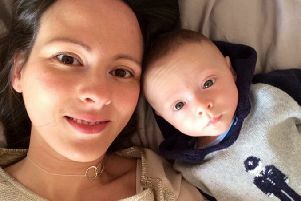 The wife of Olympic legend Sir Chris Hoy, Sarra, has shared a letter she wrote to the medical staff who cared for their son who was born 11 weeks premature. 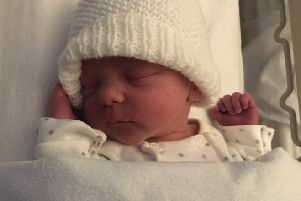 Sir Chris Hoy has revealed that wife Sarra has given birth to a baby girl. 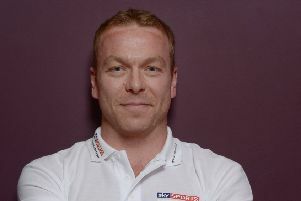 SIR Chris hoy has apologised for his “harsh” remark that middle-aged men over eight stone should avoid wearing Lycra. 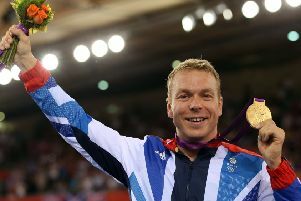 Olympic cyclist Sir Chris Hoy has joked he may have to quit Twitter after his wife shamed his Kit Kat eating style. 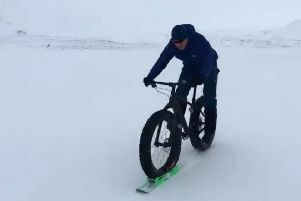 AFTER switching cycling for motor racing, Sir Chris Hoy is back on two wheels again - but now with a ski attached. 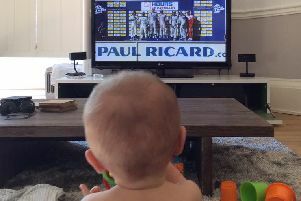 The wife of cyclist Sir Chris Hoy is expecting a second child. 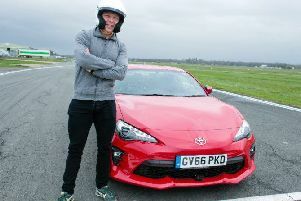 Olympic cycling legend Sir Chris Hoy is set to take on the Top Gear track this Sunday, appearing as the star in the ‘reasonably fast’ car. 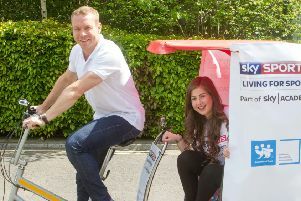 olympic cycling champion Sir Chris Hoy joined 200 staff and patients to lead the Walk a Mile event in aid of the Scottish Association for Mental Health (SAMH). 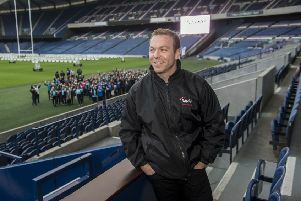 Sir Chris Hoy is to join 250 people sleeping rough for a night to raise money for a new village for the homeless. Scotland’s Chris Hoy has been named the best British Olympian of all time in a new survey. 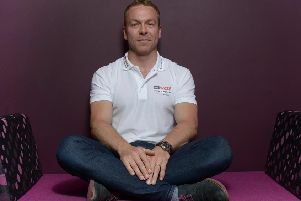 SCHOOL pupils on a broken down bus were left stunned when their roadside rescuer turned up - Olympic cycling champion Sir Chris Hoy. SIR Chris Hoy and Andy Murray are among a list of celebrities calling on the government to take urgent action to reunite lone Syrian refugee children with their families. 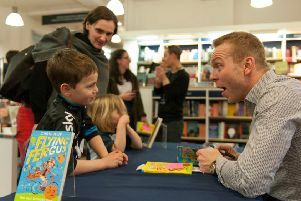 IT’S been more than two decades since Chris Hoy boosted his student bank balance by stacking shelves at Blackwell’s bookshop. 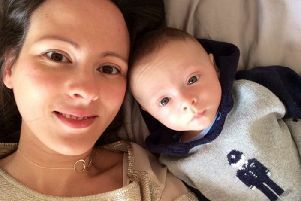 SIR Chris Hoy’s wife Sarra and radio presenter Edith Bowman have taken to Twitter to criticise a “condescending” childcare author. BRITAIN’S most successful Olympic cyclist Sir Chris Hoy has once again been crowned a champion after swapping his bike for a car. 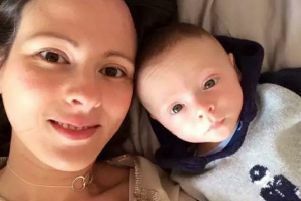 SIR Chris Hoy and wife Sarra took their son Callum to Edinburgh on Saturday - and showed the tot the Olympic medallist’s golden post box and golden handprints. THE wheels may have come to a stop, but Britain’s most successful Olympian is enjoying a money-spinning retirement away from the velodrome.